Pier Paolo Pasolini was an Italian born poet, but later went on to become a film director, saying that he wanted to create the 'Cinema of Poetry'. Like many Italian directors, his films lay in the genre of neorealism and focussed on political themes such as outlawed sexuality. Tragically, Pasolini was murdered in 1975, but the British Film Institute are commemorating his memory in a two-part retrospective of his work between the 2nd March - 30th April, including all his thirteen feature films, documentaries, and short features. All screening can be booked online and cost between £6.75-£10. 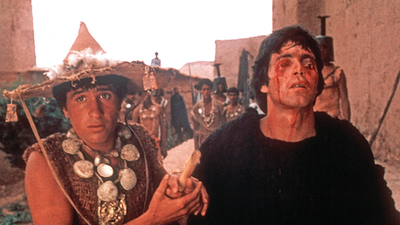 See his rich re-telling of the story of Jesus Christ in The Gospel According to Matthew (1964), or Pigsty (1969), a satirical tale of cannibalism and a neurotic pig-lover. Many of his films focussed on ancient Greek myths such as Oedipus Rex (1967), Medea (1970), and Notes for an African Oresteia (1970), which merges the murder of Agamemnon with African politics. As well as many other great films, the BFI will also screen his documentary, The Anger of Pasolini (1963), which consists of a compilation of newsreels and archive footage in a reflection of 'modern Italy'.